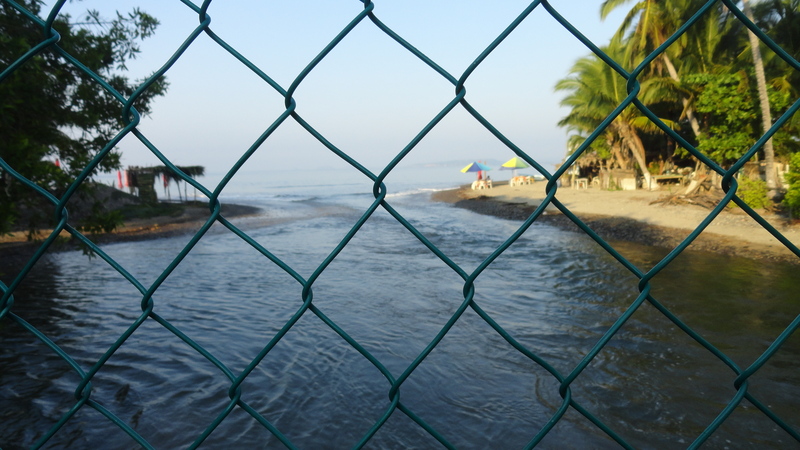 With the estuary now open to the sea, it presents more dangers than crocodiles in the surf. 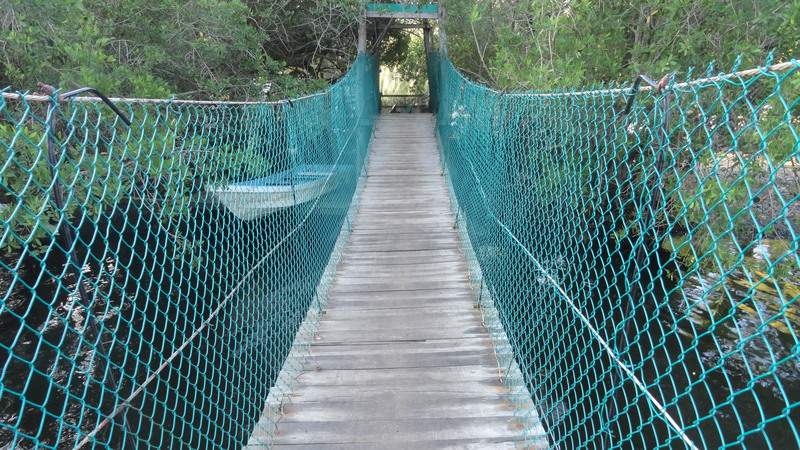 It is also necessary to cross this scary suspension bridge to get further up the beach. I’ve tried wading the estuary, but crocs seem a bigger danger than the three cables that support this bridge. This entry was posted in Bridge images, Cee's Fun Photo Challenge, Judy Dykstra-Brown photos and tagged Bridges, Cee's Fun Photo Challenge, Judy Dykstra-Brown, Judy Dykstra-Brown Photos on December 9, 2014 by lifelessons.